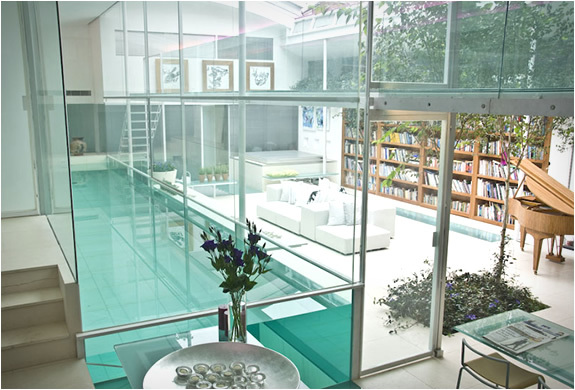 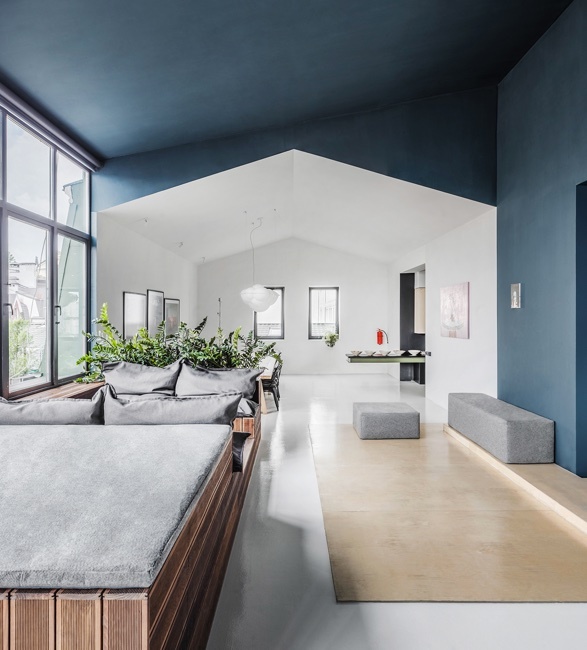 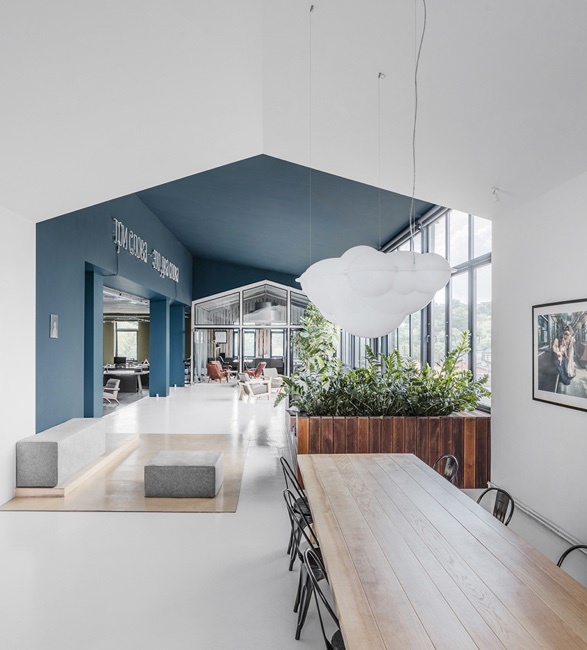 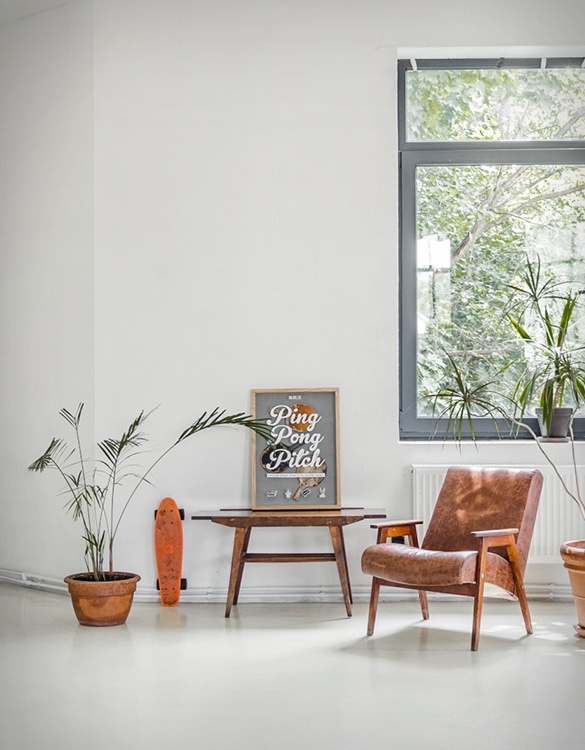 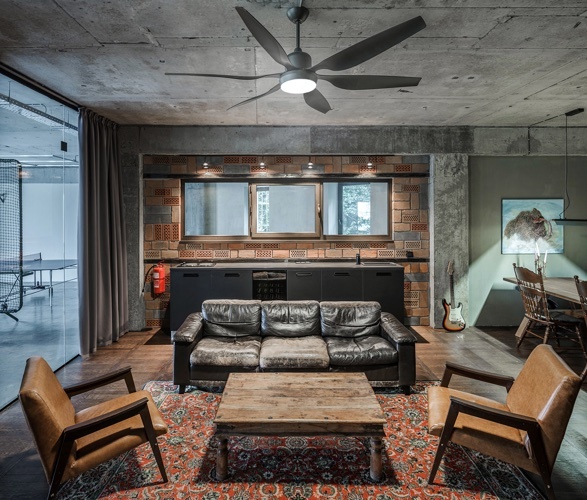 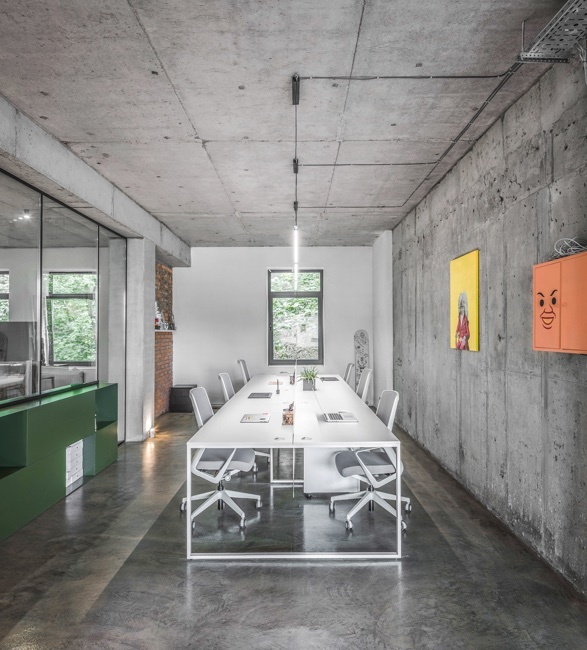 Our office crush this week is located in the historical district of Kyiv, Ukraine. 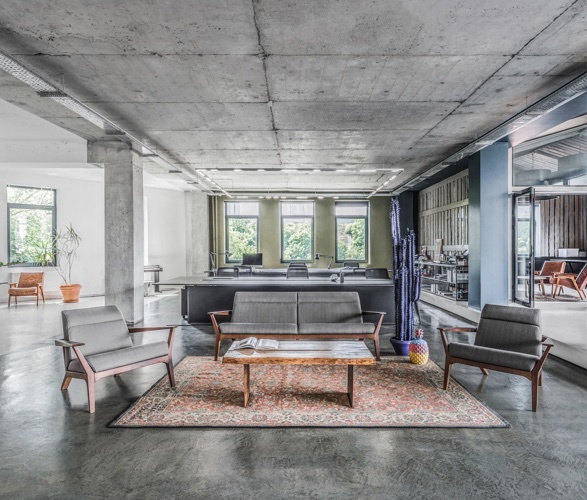 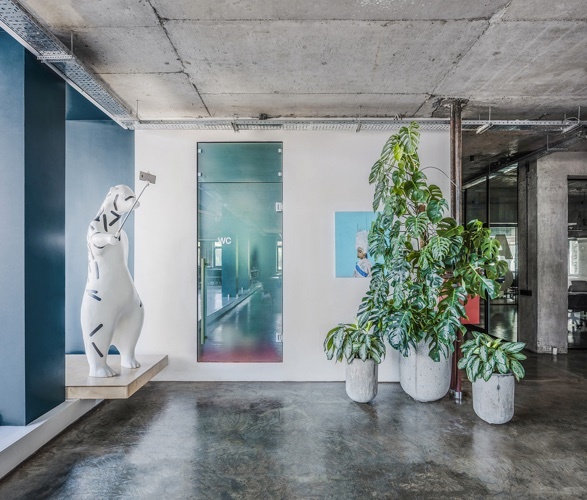 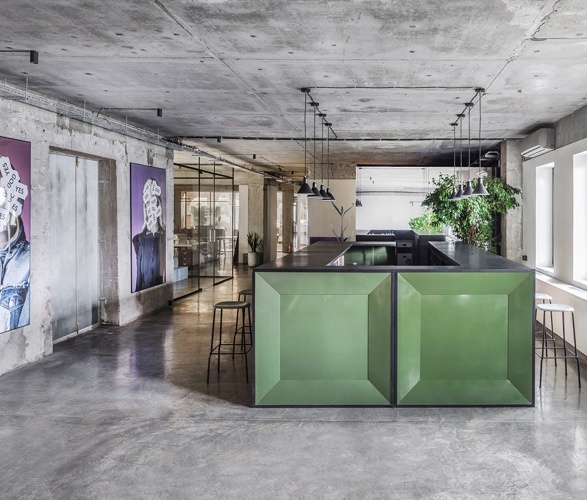 This extravagant workplace is home to creative agency Banda, whom commissioned architects Balbek Bureau a comfortable working space suitable for an artistic soul. 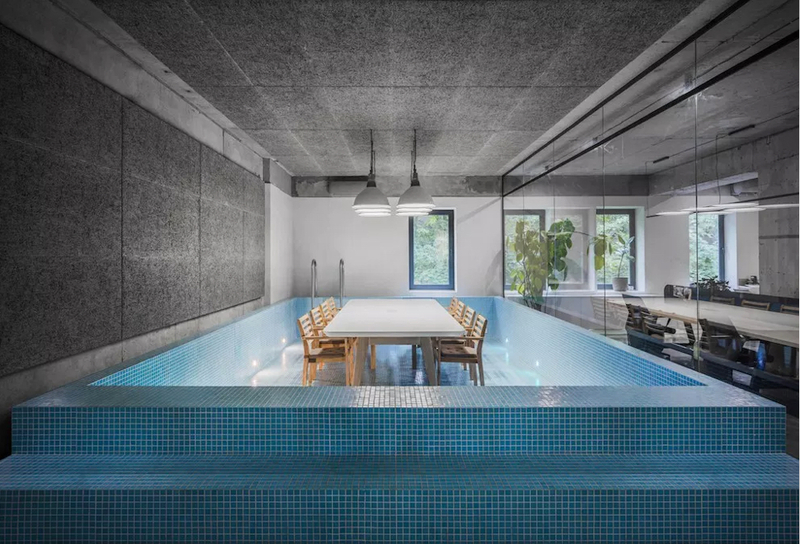 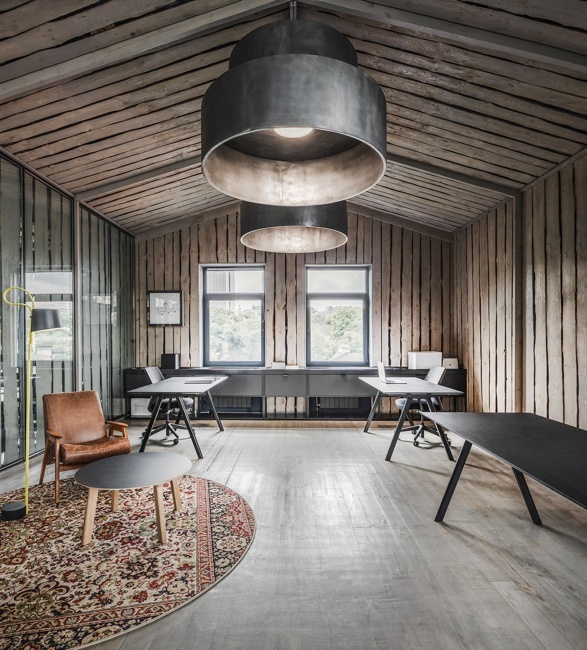 Designed to make its employees feel as if they could be anywhere but not at work, the funky office features an extraordinary meeting room in the form of a swimming pool, a vibrant bar area, a detached in-built barn-house, vintage retro furniture, and spacious working areas that encourage interactions and the exchange of ideas. 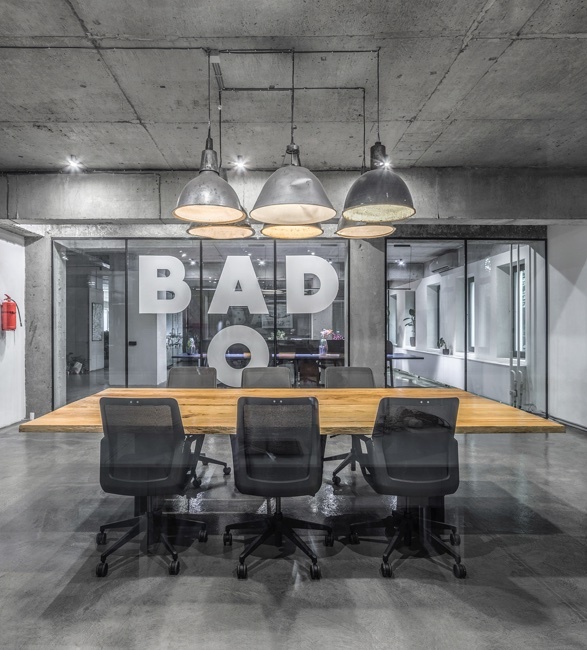 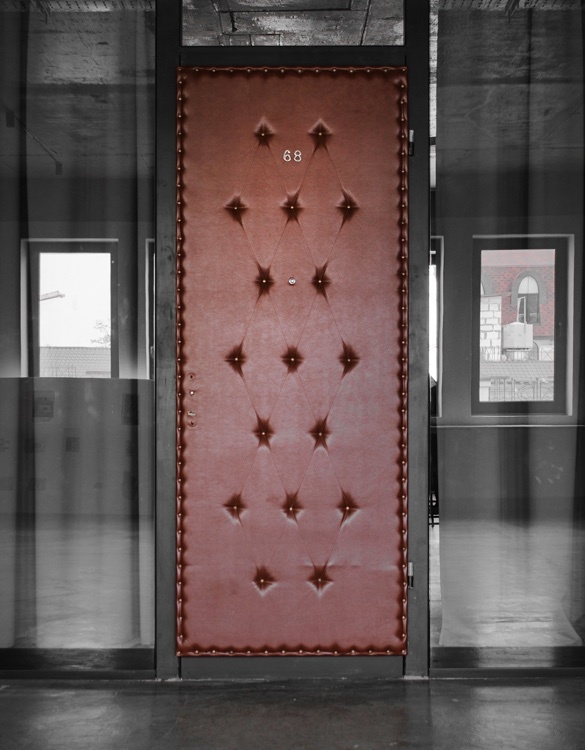 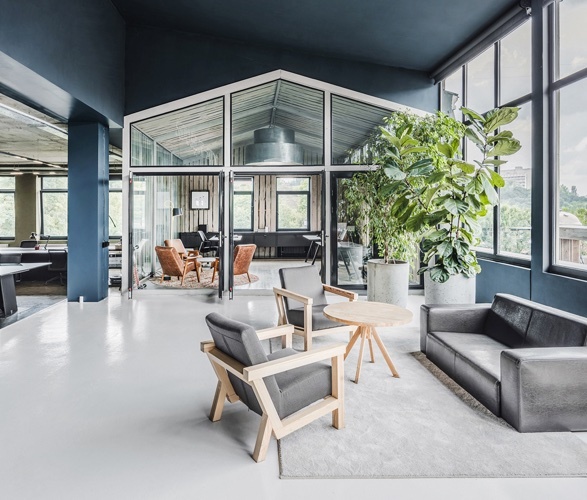 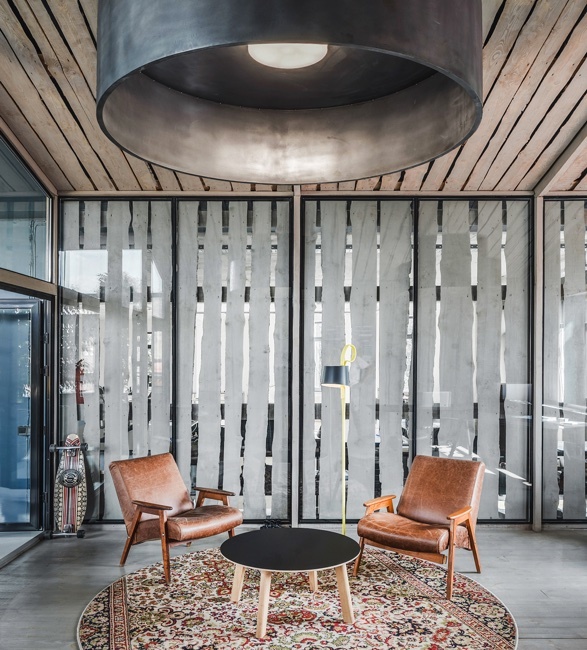 Designed in minimalist style with an industrial look, the entire office feels open and light, allowing employees to move between various spaces which eliminates the sense of lassitude and stimulates creativity.